Club Dive! Club Dive! Club Dive! SUNDAY July 22! Re: Club Dive! Club Dive! Club Dive! SUNDAY July 22! thanks all for the good food/drinks, good company, and good times on Sunday! (That ginormous meal lasted me the until the next day.) Looking forward to the next club dive! Doug really wants to go on a night dive soon and I'm inspired by ScubaJess to look for lumpies this Fall! Mike, it was good seeing you! 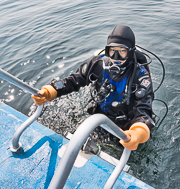 Lets go dive sometime! Thanks, it was good to see you there. If someone has some plastic cups handy can you please bring em? Unless it's claimed by the time I get there, I'll be setting up near the picnic table on the southeast side of Cove 2. Look for the crowd of NWDC shirts! Gdog wrote: Pen, are we good on grills? I have my small grill, which should be okay given the size of the crowd. I'll also bring some chips. And beer! Plenty of big buddies will be around. Just let us know because sometimes the real names vs handles get us discombobulated. Speaking of which, i should bring name tags! I’d love to join aswell!! Experienced diver but don’t know the dive site too well so if I could tag along with a buddy pair that’d be awesome! @Penopolypants: What can I bring & Can you match me up with a big buddy? 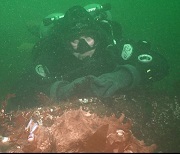 I am AOW with about 20 dives but am newer to PNW cold water. Pen, are we good on grills? That and "It's a Tide ad!" were the best parts of the Super Bowl! SashimiFencer wrote: I am coming as well, with my husband, with Doritos! I am coming as well, with my husband, with Doritos! I will grab some chips! I'll be bringing some Coffee and supplies. I’ll be bringing some vodka, rum and mixers for some frozen drinks (yes a blender too), and some Rocky Mountain Coors Light! MariaT wrote: I would like to come! Some family stuff may get in a way so it's a 90% chance now. "Little buddy" because I have never been to that site. Also I would like to talk to somebody who dives a wing and plate setup - not that I am buying a new gear tomorrow, just very curious! I can bring my extra bp/w if you want to try it! I don't see any beverages in the list so far except margaritas. Unless this has been taken care of, I will bring water, lemonade and Corona-like beer (good in summer imho). Otherwise, I can bring a variety of snacks. We have bp+w's, dslr's, f1's, weezles, weezle booties, and sling bottles you can check out! I would like to come! Some family stuff may get in a way so it's a 90% chance now. "Little buddy" because I have never been to that site. Also I would like to talk to somebody who dives a wing and plate setup - not that I am buying a new gear tomorrow, just very curious! Captain Phil hasn't been able to give me a hard time yet this year, so I will be out on the Lu Jack looking for candy stripe shrimp. Phil over the loudspeaker last year: "You guys going to go diving or just float there?" or "Did you guys even do the dive or just stay in one place".